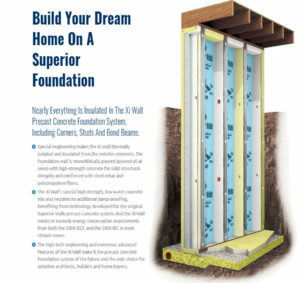 Superior Walls Insulated Precast Foundations | Legendary Homes Inc.
Superior Walls insulated precast foundations is a clean simple approach. Legendary Homes offer these insulated pre-cast foundations and highly recommend them. There are many advantages. Just like modular homes, they are built in a factory, cast in a horizontal position using high strength concrete. Much stronger than a traditional foundation. It’s more dimensionally stable. The shell themselves are a couple inches thick but the walls, the structural members are 10 1/4″ thick and incorporates reinforcing steel rebar in the studs. The Dow Styrofoam is built right into the walls. 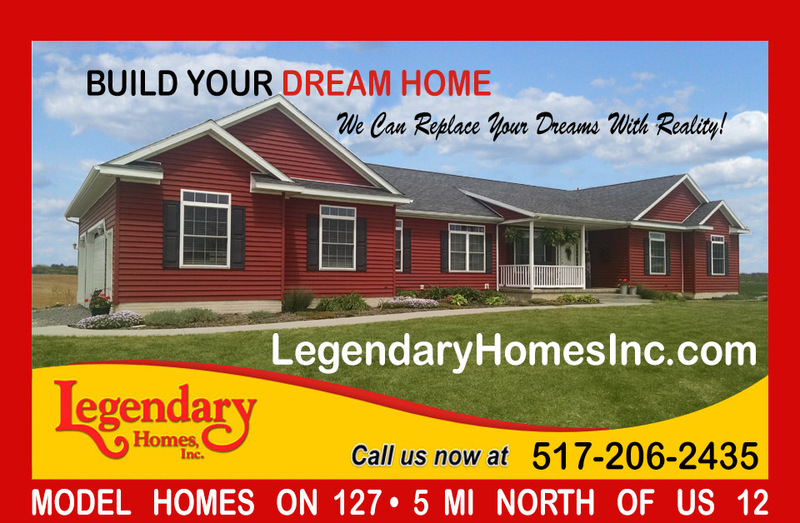 Legendary Homes uses XI walls which have an R-12.5, so it exceeds Michigan energy code of R-10 insulation. They are very energy efficient. Each foundation is pre-engineered individually for each home and designed for each particular house. Joints are sealed with a polyurethane sealant, specially formulated for application for this type of concrete and they use a bead on the exterior and a bead on the interior of the panel at the seems. Superior Walls uses a 5,000 psi concrete mix, which has a water concrete ratio of .4 to provide a high strength mix. A poured wall foundation typically would use 2,500 to 3,000 psi. When the panel is cast at the factory there is an embedded saddle bolt assembly that’s embedded into the lower and upper bond beam. A 1/2 diameter bolt is used to hold the panels together. The shell is 1 3/4″ but the overall structure is 10 1/4″ The walls have a concrete stud and use a steel plate (in the Xi walls) for securing drywall when finishing the basement. The following video shows Bob Villa talking to Jim Costello from Superior Walls on a job site of a new construction home. Bob Vila asked about if there were any concerns to worry about with settlement. Settlement is no more of a concern with this system than it is with any other type of foundation such as a poured wall foundation. You do need to be concerned with what your soils are but it’s not any different than any other concrete wall. Superior Walls set on a crushed stone footing of around 6 inches for a firm base. Soil pressure on the outside is something to be aware of. The walls are very rigid so there are very specific directions for the connection of the floor system to the top of the wall. 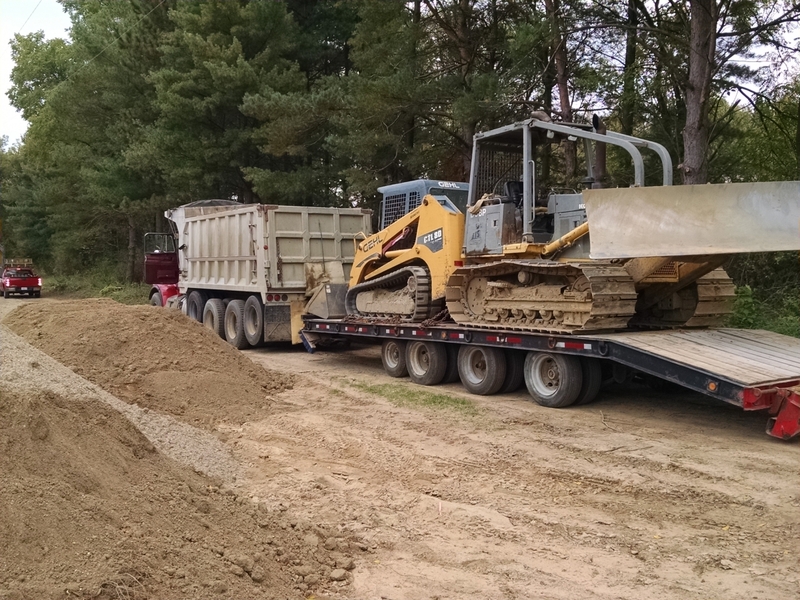 The walls are fully engineered to withstand the backfill pressure, but it’s important to pour the floor and properly fasten the floor system of the house before backfilling in order to make a rigid box. The walls are squared at the time of completing the last panel. The prefabricated foundation is built in a factory just as a modular home so weather is not an issue. They are poured in a plant in a controlled atmosphere where they pour the concrete. The concrete studs have holes for wiring and secondary plumbing making it easier to run electrical and plumbing in the basement. The walls are ready for drywall, which is a big advantage. Costs have been running about the same as a poured wall basement which makes it the way to go. Legendary Homes has been using Superior Walls for many years and they are differently a “Superior foundation”. 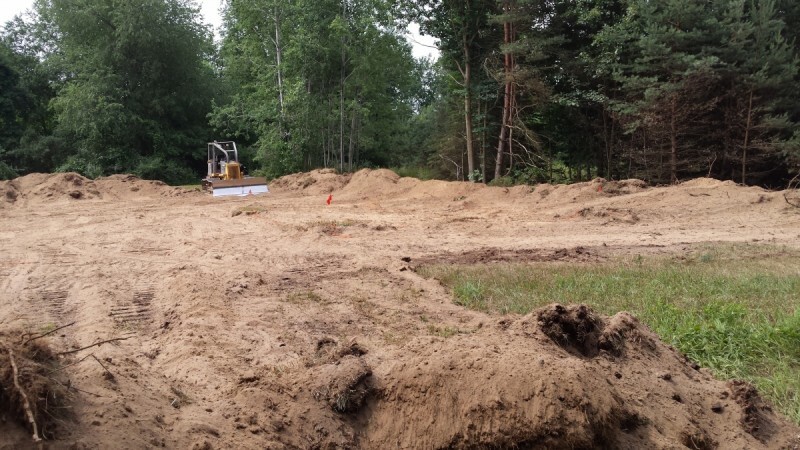 In Michigan, basements need to be at least R-10 to meet energy codes and the Xi walls more than exceeds the energy code. Highly recommended!